1. 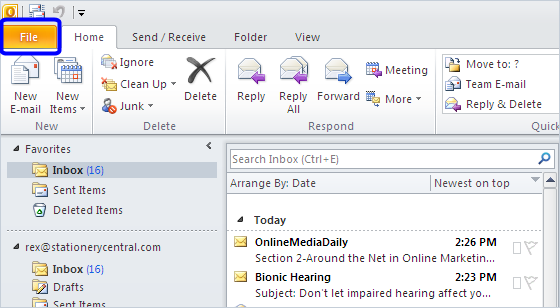 Go to Outlook 2010’s inbox and click the FILE tab at the upper left of the top menu bar. 2. Click the OPTIONS button in the left column. 3. 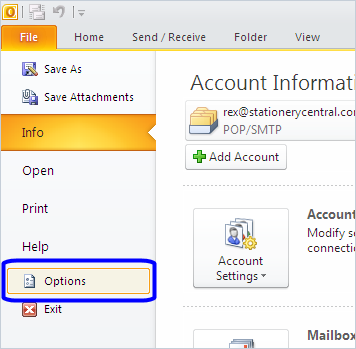 Click the MAIL button in the left column, make sure your compose format is set to HTML, and then click the SIGNATURES button on the right. 4. 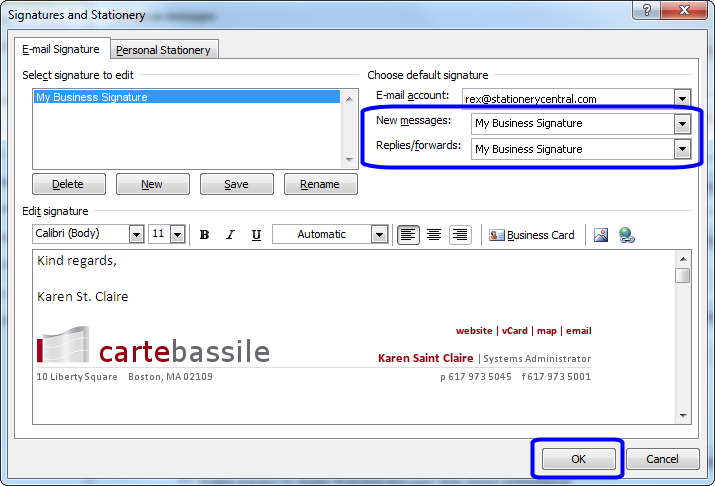 Click NEW and type in a name for your signature, “My Business Signature” for example. 5. You’ll see three steps below. This is pretty simple - type anything you want to type first. When done, PASTE the graphical signature that you have copied to your computer’s clipboard wherever you want it to go. 6. 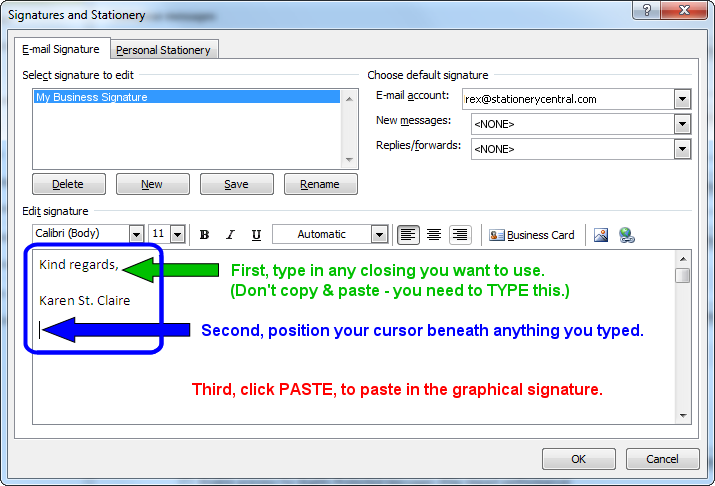 Set the signature for new messages and for replies to the name of the signature you just created. Then just click OK to close all of the open dialogs and get back to your inbox - you should be all set.